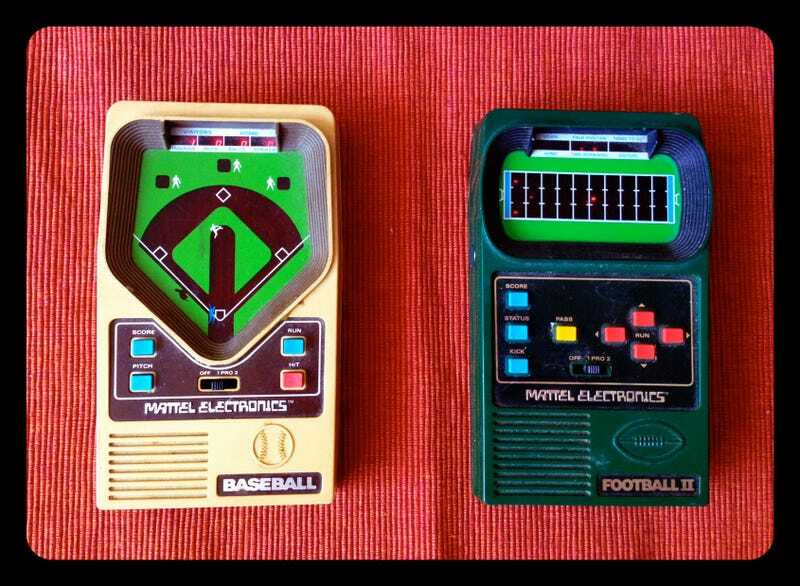 My cousin recently gave me these two Mattel Electronics relics from my childhood. The football game, in particular, was a favorite. I bought a couple of 9-volt batteries—I mean, when was the last time you bought a 9-volt battery, man?—and went back in time. The baseball game is weak but the football game is still fun.